Saturday May 31, 2014 00:00GMT until 23:59GMT on your first deposit of $/£/€10 or more our members are eligible for our exciting Your Choice bonus. Super Value Monday! On Monday June 2, 2014 from 00:00GMT until 23:59 GMT, all members on their first deposit of $/£/€30 or more will receive a 127% bonus up to $/£/€127.00. On Tuesday June 3, 2014 from 00:00GMT until 23:59 GMT all members on your first deposit of $/£/€25 or more will receive a 218% deposit bonus up to $/£/€160.00. You're Guaranteed Cash! Play at Fly Casino each Wednesday in June and you are GUARANTEED €/$/£ 5.00-200.00 cash prize from our random prize draw. You're guaranteed to win! 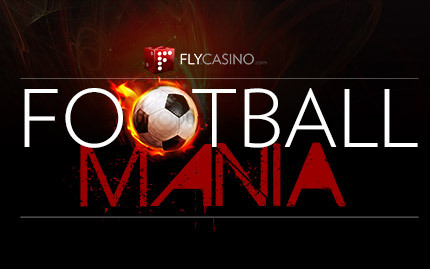 To receive a cash prize, all you'll need to have is at least €/$/£500 in total wagers (any games) during your gaming day. It's that simple. Prizes issued on Thursdays.